The Fridge works in mysterious ways, often when I least expect it I feel it inspiring me to use real world events as a lesson. In this case one about the psychology of confirmation bias. One of the best ways to detect confirmation bias occurring is to do a little counting. Because confirmation bias gets us to count the hits that confirm our predilections and totally ignore the misses that would discount what we really, really want be true. Today right before your eye’s the Fridge has blessed us with this miracle of understanding that we might watch it unfold before us. It’s a Miracle! Now see confirmation bias in action with some of the comments on the FB page linked in the story. See how inspired leaders were to make make it an extra bit higher to stay just out of reach of the flood! It’s amazing right? Just enough to save the temple… in 2016 God was certainly mindful of his holy places! But not so in 2017, you do have to go by boat… actually kayak in this case. Is God still mindful of his holy places? Or did the leaders miss the word ‘teen’ when God said build it eighteen feet higher? 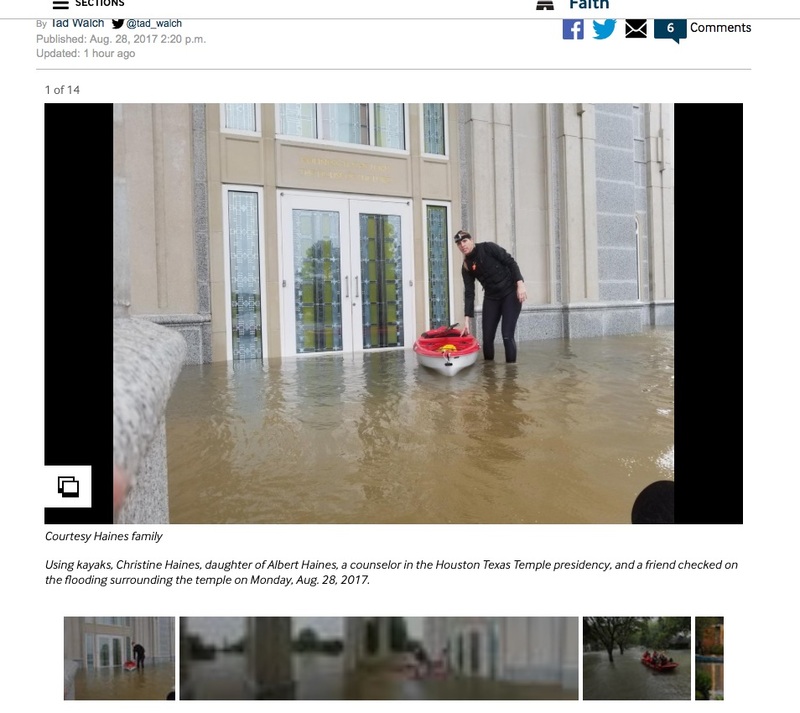 In the days and weeks to come the same members that saw a miracle in a dry temple on the hill will see new miracles, like how it’s a good thing God puts baptismal fonts in the basement, because that way designers are already thinking about water spilling in there. It might be a miracle of how quickly things are cleaned up and back in operation, or how some particularly sacred part of it all went untouched and safe. For verily thus saith the Fridge, watch now as right before your eyes misses are ignored and hits are counted. 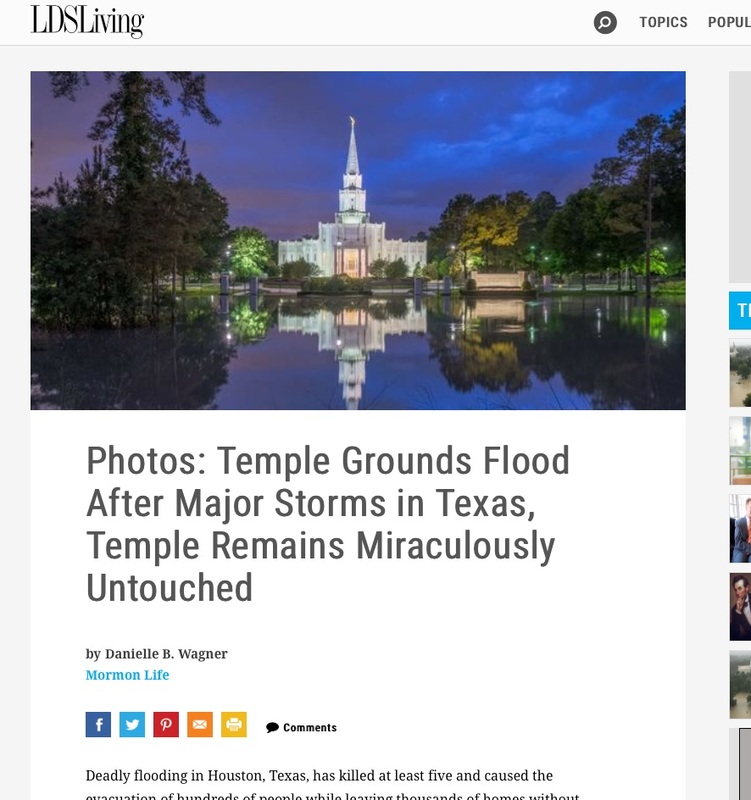 Nary a comment will be seen by the faithful questioning how this flood occurred when God is on the lookout and building on a rock. Nope, not a single one. Not because people are dumb or easily fooled. No, because this is part of human nature. The natural man isn’t an enemy of the Fridge, he’s just human and subject to human mistakes. It’s not a sin to be mistaken, only to be unwilling to question and learn how to count the facts when you know you might be… biased. The light of the Fridge is there for all, all you have to do is open the door and see therein. May chill be with you my brethren of cool. People believe what they want and only count the evidence that agrees with their point of view after all if people were critical thinkers religion would not exist and quite possibly a lot of other evils and and suffering would not either.